Studying the effects drugs have on the body, known as pharmacodynamics, is particularly important to drug toxicologists. In this next article of our Drug Driving series, a drug toxicologist will explain everything you need to know about what drugs do to your body. Unlike the study of pharmacokinetics, which looks at the effect the body has on a drug, pharmacodynamics is the study of how drugs affect the body both physically and mentally. The practice puts substantial emphasis on the dose-response relationship, or the relationship between drug concentration and the effect it has on a person’s body, and specifically their brain. After a drug is administered, it is absorbed by the body and makes its way to the main part of the central nervous system: the brain. Once in the brain, drugs hijack communication pathways. Normally, neurotransmitters bind to receptor sites on neurons, allowing neurons to activate and transmit information. By mimicking the chemical structure of neurotransmitters, drugs are able to bind to receptor sites and activate neurons, sending abnormal messages to the body. Alternatively, drugs can bind to receptors and force neurons to release large amounts of natural neurotransmitters, creating a distorted neural message. Ultimately, drugs disrupt the communication channels in the brain, sending abnormal messages to the body that are interpreted and expressed as euphoria, or other desired drug effects. A person experiences the desired effects of a drug after the drug binds to specific receptors in the central nervous system (most often the brain). In general, an increase in the dose of a drug will increase the effects it has on the body. However, the pharmacologic effects of a drug can also be dependent on the time since it was ingested, rather than the concentration of the dose taken. This phenomenon, known as hysteresis, is particularly evident when comparing the effects of alcohol (ethanol) and marijuana (THC). After consuming alcohol, a person starts to feel the effects of ethanol (excitement, decreased anxiety, talkativeness) during the initial absorption phase. During the elimination phase, people tend to feel more sedated and depressed. The drug concentration may remain the same, but the effects it has on the body changes depending on the pharmacokinetic phase it is in (see our article on pharmacokinetics for more information on elimination and absorption). In comparison, marijuana users experience a type of counter clockwise hysteresis. As the levels of THC in the body decrease, users claim to experience a personal high. When people repeatedly use a specific drug, they begin to develop a tolerance to that drug. Usually, tolerance occurs because the metabolism phase of drug consumption speeds up due to specific enzymes becoming more active in habitual drug users. In the brain, the number of cell receptors that drugs can bond as well as the bond strength between the drug and the receptor can start to decrease. Consequently, habitual drug use impacts the dose-response relationship to the point that habitual users often require increasingly higher doses to achieve the same high. Thus it becomes increasingly difficult for drug toxicologists to ascertain what concentration of a drug would significantly impair a user, as concentrations that would have no effect on a habitual user with a high tolerance can be fatal to a first-time user. Most people who are old enough to consume alcohol know that it is illegal to drive with a blood alcohol content higher than .08%. When it comes to drugs, however, there is no particular consensus amongst law enforcement and the scientific community as to the correlation between drug concentration and the ability to drive. 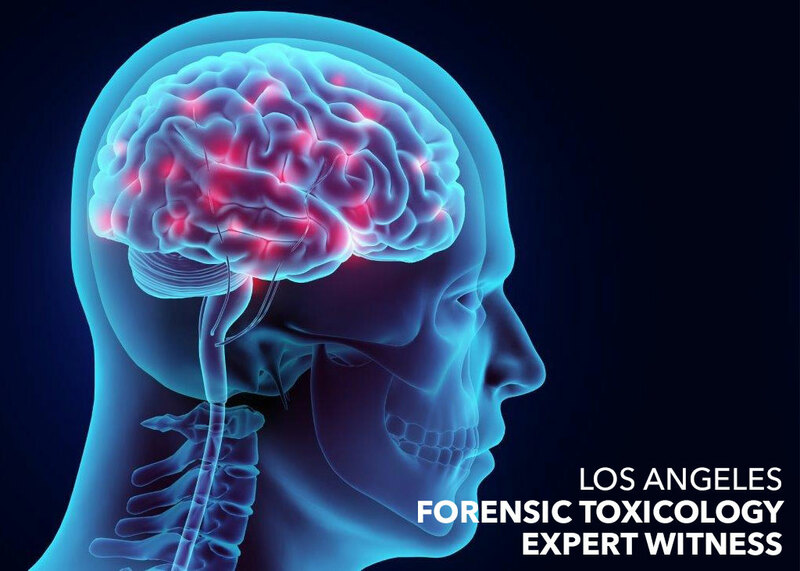 Tolerance, age and specific genetic abnormalities greatly impact the dose-response relationship, making it particularly difficult for toxicologists to determine the effect a specific chemical compound has on any one individual. Blood samples are often used to determine acute or chronic toxicity, as the presence of a drug in the blood means it has been absorbed into the body and has the ability to bind to receptors. Although determining driving impairment can be difficult, the combination of pharmacodynamics and pharmacokinetics arms drug toxicologists with substantial knowledge to tackle the problem. For more information on drug driving, take a look at our next article in the series.